How apropos for the Mount (the home of Edith Wharton) to be the center of author lectures in the Berkshires. On any given week, two or three talks take place in the large Stables. The main series presents writers of fiction or non-fiction giving the always full-house a perspective on his/her book. Talks have taken place each Monday at 4pm. In addition to the series, the Mount hosts educators, writers, scientists, architects, and others, each lecturing about his/her subject matter. 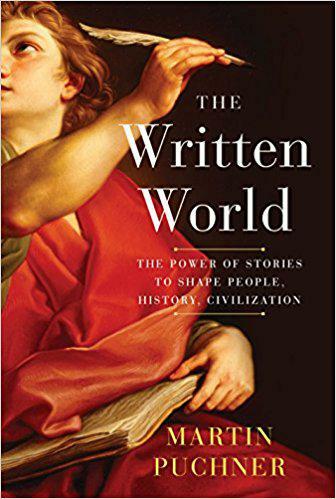 Martin Puchner, a Harvard professor with a wonderful sense of humor, spoke about his book, “The Written World: The Power or Stories to Shape People, History, Civilization”. The Mount talks are, by no means, geared to the learned scholar. Each is educational but not didactic, personal, and fun.